Partially updated 1-3-2011. Not completely up to date, and I definitely want to get caught up with the last few years' releases before the Pirates of the Caribbean sets come out. I'll keep working on it . . . Being a compilation of data and opinion about the ships in the Lego Pirate theme, and related releases . . . send comments to sj@sjgames.com. Most of the set names link to the Lugnet pages, where you can see photos of the ships and crew. Released 2009? ; 592 pieces. Original suggested retail price $99.99. Hull: Mostly brown. Need to look. Masts: 2, plus a skinny little bowsprit made from a rod. Sails: 5, all red and white striped - four striped squares, two larger striped squares with skull and crossbone, and a jib.. Crew: Four pirates, two soldiers, the Admiral's daughter, and a mermaid. Overall: Most reviewers wanted to see more detail for display. Released 1997-98; 151 pieces. Original suggested retail price $33.00. Hull: Regular (12 studs), green over black. Masts: 1, plus a skinny little bowsprit made from a rod. Sails: 1, red/white striped, with skull and two cutlasses (not crossbones) and irregular "battle damage" holes. There is also a large cloth skull-and-crossbones flag. Crew: Captain Red Beard, pirate wench, and one pirate. Overall: Definitely the lamest pirate ship of its period -- not because it's small, but because it seems hastily designed, with awkward lines, clashing colors and almost no decorative "gingerbread." This set can be the basis for a very pretty little vessel, though. Swap out the red bits for more green, yellow and black, give it a proper bow and some more interesting railings, create an appropriate sail if you want it to be a merchant rather than a pirate, and it works quite nicely. No black hull center sections exist . . . but if you want to lengthen the ship, the white center section from the Armada Flagship (6280) presents a dramatic contrast to the black bow and stern. Hull: Regular (12 studs), gray over brown. Masts: 1, plus another mast piece used as bowsprit. Sails: 2, B&W striped; one irregular 4-sided w/skull and crossbones, one jib. Crew: A hook-handed captain and three assorted pirates. Overall: A nice little pirate. With no hull midsections, it can't help being a bit tubby, but the long bowsprit disguises that in the finished ship. Consider it a captured merchantman; after all, that's what most pirate ships were. Hull: Regular (12 studs), gray over brown. One brown center section. Sails: 3; two squarish, brown (a realistic canvas color) with red stripes, black cannon, gold crown, one plain brown jib. Crew: 2 redcoats, one redcoat officer, and one ordinary seaman (striped shirt). Special feature: Turning the wheel turns the rudder. Overall: An excellent medium-sized ship. It's a shame that the British Navy (err, "Imperial Guards") never got a BIG ship. Historically, they had the men o'war, and the pirates made do with smaller stuff. And in 2010, they finally got a big ship. See set 10210, below. Released 1989-94; 372 pieces. Original suggested retail price $54.00. Hull: Wide (16 studs), brown. One brown center section. Masts: 2, one of which is 2-part, plus another mast piece used as bowsprit. Sails: 3, blue/white striped; two "square" (actually, one is a very long rectangle), one jib. Cannon: 2. They must be picked up from one side of the ship and set on the other; their guide tiles don't go all the way across. Crew: 3 bluecoat soldiers and one bluecoat admiral. Special feature: The yellow falcon used as a figurehead was unique for years, until Adventurers started including them. Where is Bogart when we need him? Overall: One of the most "collectible" of the Pirates line; sells for over $100 online. When built according to directions, the rear mast has no sails, which makes the ship look quite nose-heavy. On the other hand, if you give it one or two more center sections and another mast, it builds out into a very nice BIG ship. Released 1996-98; 280 pieces. Original suggested retail price $49.00. Re-released 2001 as set 6291, 280 pieces, $50.00. Hull: Regular (12 studs), blue over white. One white center section. Masts: 2, plus another mast piece used as bowsprit. Sails: 2, blue/white striped; one 4-sided w/red/yellow coat of arms, one jib. Cannon: 1, with a green carriage. Crew: 3 Dons, one with a chrome breastplate. 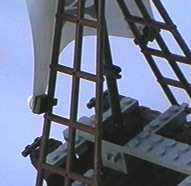 Special features: One mast is hinged to fall as "battle damage." Cute, but I rebuilt mine to be sturdier. Overall: A very pretty medium-sized ship. The effect of the white hull is very pleasing. This would represent the Spanish presence, as opposed to 6271 and 6274, which are clearly British. Released 1989-1995; 865 pieces (Brickset says 909). Original suggested retail price $125.00 (Brickset says $110). Re-released 2002 as set 10040, 906 pieces, $90.00. Hull: Wide (16 studs), brown. THREE brown center sections. Masts: 2, both 2-part, plus another mast piece used as bowsprit. Sails: 5, red/white striped; four 4-sided, one jib. Cannon: 4. There are only two ports on each side, so each port has its own cannon; thus, this ship's cannon arrangement is the most realistic (and least efficient) of any of the sets. Crew: Captain Red Beard, pirate wench, and 6 assorted pirates. Special features: The stern is very complex and detailed, with clever use of big "flower" parts as gold rosettes. Furthermore, it's hinged so it slants back, for a very realistic appearance . . . and it can be "unlocked" to swing down, allowing access to the ship's interior . . . where detail is visible that can't be seen from outside. There are also four hatches, four doors, and four windows. Overall: A HUGE pirate ship with lots of sails. Now a collector's item; hard to find and expensive. Released 1993-95; 892 pieces. Original suggested retail price $126.50. Hull: Wide (16 studs), red over brown. THREE brown center sections. Masts: 3, two of which are 2-part, plus another mast piece used as bowsprit. Sails: 6, B&W striped; four 4-sided, one w/skull and crossbones, two jibs. Cannon: 4, running back and forth on a very ingenious slide-and-turn arrangement. Crew: Captain Red Beard, pirate wench and 7 assorted pirates. Special features: Stern opens on both sides with concealed hinges. Cannon slide and turn so they can fire out of the gunports on either side. Overall: Another HUGE, beautiful pirate ship. Built to plan, it's almost 25" long. Adding a black spear to the bowsprit looks good and brings it to a full 27". Released 1996-98; 691 pieces. Original suggested retail price $99.00. Re-released 2001 as set 6290, 698 pieces, $100. Hull: Wide (16 studs), dark gray over red. Two red center sections. Masts: 2, both of which are 2-part, plus a special mast piece for the bowsprit. Sails: 3, B&W striped; two 4-sided, one w/skull and crossbones and one with crossed swords, and a jib. All have irregular "battle damage" holes in them. Cannon: 3. This is strange, because there are four sets of cannon ports -- 3 on the main deck and one above. The guns slide from side to side on runners, but you will have to modify them to turn unless you're willing to just pick them up when you want to move them to the other side of the ship. Crew: Captain Red Beard and 6 assorted pirates. Special features: The foremast is hinged to fall as "battle damage." Likewise, if you pull out two rods in the stern, the stern of the ship swings down and catapults the upper deck, with the wheel, into the ocean. Stern opens on both sides with concealed hinges. Overall: A big, gaudy pirate ship, with a very nice "screaming skull" design at the stern. With only three sails, all of which are mounted high up and full of "cannon shot" holes, it looks a bit moth-eaten, and it needs a jib. The way the sails are hung lets you "reef" them -- a clever feature. The "battle damage" gimmicks are fun a few times; after that, you will probably want to redesign the ship without them to make it sturdier. 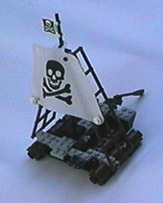 Released 1992-95; the ship is about 110 pieces (the whole set was 592 pieces). Original suggested retail price for the whole set was $85.00. Hull: No "hull pieces" as such. The bow is built up from a 6x7 tapered baseplate and two identical 6-stud-wide cutter bow elements (technically, "Inverted Multi-Taper Boat Hull." See the picture.) Her midsection tapers out to a width of 8 studs. Masts: 1, plus a rod used as a bowsprit. Sails: 3, natural canvas colored: one small 4-sided showing crossed anchors, a barrel and a crown, one irregular 4-sided, and a jib. Cannon: No "real" ones (two black cylinders point outwards from the stern and are meant to represent small cannon). It can easily carry one real cannon, of course. The picture to the right shows it carrying one regular cannon, with the little "fake" cannon removed. Overall: A very trim little ship. It has so many features for its small size (less than 11 inches from lantern to tip of bowsprit) and is so pleasingly colored and perfectly proportioned that the word "cute" cannot be avoided. This has been the inspiration for a variety of little cutters that form the nucleus of my pirate fleet. It's a shame that nothing like this was ever offered as a separate set. Okay, it wasn't part of the Pirates theme, but it was the same basic build. Released 1996-98; 234 pieces (but many are silly). Original suggested retail price $44. Hull: Regular (12 studs), black over gray. Masts: 1, in two parts. No bowsprit, but the ship's "wings" and propellor shaft can easily turn into a handsome bow and bowsprit. Crew: None that you would want on a pirate ship, though Timmy can be used to attract sharks. Overall: A good pirate ship can be built around the basic elements in this set, though you'll have to add a lot, and many of the supplied parts are completely irrelevant. This is the only gray hull that I have seen. It's a shame that there is (as far as I know) no regular-width gray or black hull center section . . . but if you want to lengthen the ship, the white center section from the Armada Flagship (6280) doesn't look bad. Hull: 16 wide, dark brown. Two Viking-style end pieces (used on both bow and stern), two dark brown 3-tall hull bricks to go above those, and four middle sections. Masts: 3, plus another mast piece used as bowsprit. 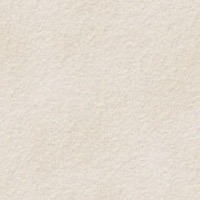 Sails: 8; seven squarish, white with think gray stripes (a realistic canvas color) and a triangular jib. Cannon: Only comes with four, so they have to be moved from side to side by hand . . . but they fire! Crew: 9 total: four redcoats, the captain and his daughter, a lieutenant, the ship's cook, and a pirate prisoner. Special feature: Three removable sections. Overall: Can you say huge? HUGE! 29.5" long. The new hull end piece is trim and fancy, though using it for the stern means sterns are now rounded. Released 1994-97; 56 pieces. Original suggested retail price $13.25. Hull: Twin hulls, both red canoes, with a platform between them. Masts: One skinny black mast. Sails: One, triangular, multi-colored, red/blue/white/yellow, with Islanders design. Cannon: none. There's room on the platform to mount a gun, but the catamaran would have neither the buoyancy nor the strength to support one, let alone fire it. Let the Islanders stick to spears, arrows and potent curses. Crew: King Kahuka and one islander. Overall: A very neat little vessel. If you want to bring Islanders into your Pirate scene, this is certainly the core of their naval power. The canoe was never released as a separate set, but it can be found in Treasure Chest (1788), Forbidden Cove (6264), and Enchanted Island (6278) . . . or, of course, you can take apart a Catamaran set and get two canoes. The Islander canoes are red, but brown canoes appeared in a couple of Wild West sets. Hull: A single red canoe. Crew: Whatever . . . can hold 3 or 4 islanders. Overall: If the Islanders have a fleet, it makes sense for them to have more canoes than catamarans. Lego has released at least six different raft sets in the Pirates theme, not to mention the rafts that appear as parts of other sets. Clearly there have been a lot of shipwrecks out there. Most of the Raft sets come with a shark or octopus; it's clear what kind of games they expect us to play with the poor shipwrecked pirates. Released 1991-1994; 23 pieces. Original suggested retail price unknown. Also released (1994?) as set 1733. Original suggested retail price unknown. Hull: A tiny platform, very low in the water, built out of round yellow 1x1 bricks . . . bamboo, maybe? Overall: A tiny raft, barely big enough for the lone pirate to stand on. It would be very easy to duplicate this one from spare parts, if you wanted to. Released 1991-1994; 37 pieces. Original suggested retail price $3.25. Hull: A little platform based on round yellow bricks, not very different from 1713. Overall: Another tiny raft with one pirate. I don't know where "renegade" comes into the name, unless he was too obnoxious for the other pirates and they threw him overboard. The original price was a lot for one pirate, one shark and a handful of tiny bits. Released 2009- ?? ; 78 pieces. Original suggested retail price $9.99. Hull: A small platform, low in the water, built out of round brown 2x4 elements to represent logs. Masts: One skinny one with a crow's nest on top. Overall: Jefferson Airplane fans might want this for the sea monster: the "kraken" is a red octopus. Otherwise . . . just another phoned-in raft set, without even a sail. Released 1990-1994; 50 pieces. Original suggested retail price $8.50. Hull: Based on round 2x2x2 barrels, and high enough out of the water that you might be able to avoid the shark. Masts: A single mast is built up from 1-stud-wide black plates. Sails: A ragged sail is made by four white 2-clip flags. This is a rare and useful element, unless you have mastered the art of removing paint from unwanted cavalry flags and the like, in which case it is not rare at all but still useful. Overall: Still a tiny raft, nothing you would set sail on if you had any option at all, but certainly better than swimming. Has a believable "built out of junk" look. Released 1992-1997; 78 pieces. Original suggested retail price $13.25. Hull: Based on round 2x2x2 barrels, with a fairly substantial platform. Technic "holey" beams are used. Masts: A single skinny mast, with real rigging. Sails: A neat little sail, white with a black skull-and-crossbones. The sail is basically square, of the same pattern seen on the little Imperial Trading Post vessel. The original design uses a string to hold the sail, but it's easy to substitute a 1x1 plate with clip and a 1x1 round plate on each side (see photos). Cannon: None, but there's room for one. Crew: A hook-handed captain and two assorted pirates. Overall: A very interesting vessel. What's it for? The rigging and "real" sail imply that the builders had a lot of material to work with, and might actually have a use for it other than escaping a desert island. I can imagine it moored in a pirate harbor to signal when visitors approach; maybe it could even mount a gun to greet them with. Or it might carry a signal fire at night to guide friends to safety. Released 1990; 49 pieces. Original suggested retail price $4.50. Hull: None; the boat is built up out of regular elements. Masts: None - there are a couple of oars. Cannon: None. One of the soldiers has a crossbow . . . Crew: Two Castle soldiers in chainmail. Overall: Has a spiffy brick-built dragon head on the front, red with staring yellow eyes. The rest of the design is unexceptional. But this was back in 1990. Recommendation: don't knock yourself out to find the actual set, but look at the dragon head for inspiration and build a bigger ship. Released 2008-2009; 493 pieces. Original suggested retail price $79.99. Hull: A dark brown Viking-style bow, and four (!) dark brown 16-wide hull pieces. This set, and the new Imperial Flagship, are the only sources of these elements in dark brown. Sails: Two - tall rectangles, a rich dark red, with a troll-skull design. Cannon: None. There's a missile-thrower, though. Crew: A Giant Troll and six troll warriors. Also comes with knight and dwarf minifigs and a big green dragon for the knight to ride. Overall: Interesting design. The bow has a ramming blade rather than any sort of bowsprit. There's no separate stern piece; one of the hull elements is built up to create the stern. Released 2005; 172 pieces. Only sold as part of a combo set. Hull: None; the flat-bottomed boat is built up out of regular elements. Masts: One . . . kind of. It carries pennants rather than actual sails. Cannon: None. There's a catapult. Crew: Two knights. No seamen. Overall: Very silly. Sort of a fantasy-medieval version of the World War II "Landing Ship, Tank." The back half looks like the knights brought part of the castle with them. Released 2006; 172 pieces. Original suggested retail price $19.99. Hull: Two identical curved gray pieces, 6 studs wide by 10 long, form the hull. Sails: Two yellow dragon wings, mounted vertically, make very funny-looking sails. Crew: Three knights. No seamen. Overall: Even sillier than the barge. The hull pieces (Cockpit 6 x 10 x 2 Curved) could be the basis of a cutter-sized ship. Released 2007-2008; 628 pieces. Original suggested retail price $69.99. Hull: A black Viking-style bow, and one black 16-wide hull piece. This set is the only source of these elements in black. Sails: One, square but very ragged, with a skull and ominous red jagged lines for maximum scariness. Cannon: None. The opposing fortress has a catapult. Crew: Four skeletons, including one with a long gray beard, and three knights to oppose them. No seamen. Overall: The set included a fancy little castle for the ship to attack, so the price is high if you only want the ship. The sail is neat, and the pointed black bow is a great piece. The rear half of the ship looks very incomplete! Some of Lego's imitators are worth mentioning. In particular, the Best-Lock "Blackhawk" was a huge ship; the set had 1,000 pieces and about 12 sails. 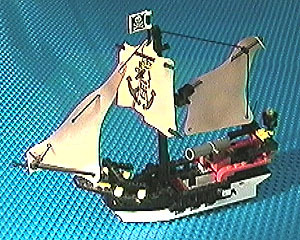 I never got to see this set in person; as of 2010, Best-Lock is selling a smaller (450-piece) ship with all-black sails. Unfortunately, Best-Lock pieces are not Lego compatible; the brick height is different.